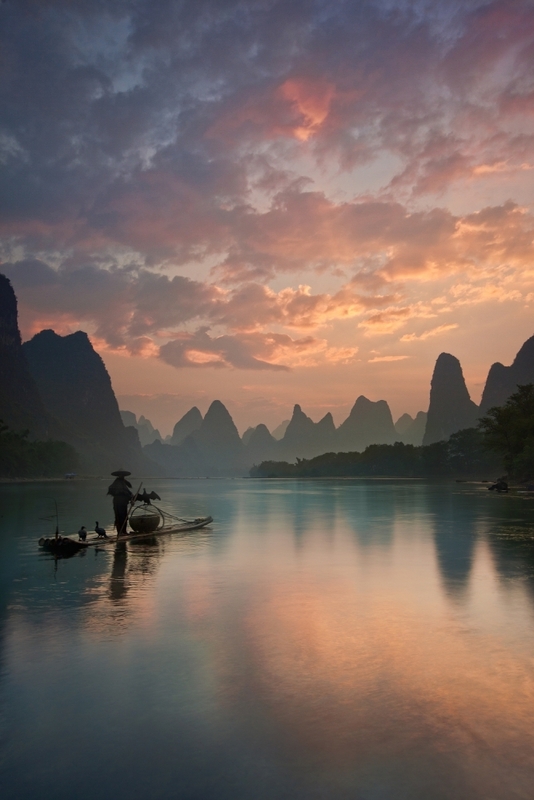 For many years, Li River has been viewed as an iconic symbol of oriental beauty. It is one of those few places in China that attracts thousands of tourists every year but still retains its natural purity. When I first visited Li River in 2006, I was convinced that it was a place I would have to come back to again and again. Since then, I have traveled to the Li River region many times, for both leisure and photography. This article tells the story about Li River from both a traveler and photographer’s viewpoint: Li River’s geographic and cultural features, main tourist attractions along the river, traveling tips, and more specifically, essential ideas of how to make great landscape photographs of Li River. Li River is a river in Guangxi province of Southern China. It runs 437 kilometers, originating from Mt Mao’er Mountains in Xing’an County, and flows through Guilin, Yangshuo and Pingle. While in Pingle, it merges with two other rivers known as Lipu River and Gongcheng and forms the Gui River, which continues to the south and finally joins Xi Jiang river. Nowadays, when people talk about Li River, they usually refer to its 83 kilometer segment. This stretch of the river starts at Guilin City, and flows down towards the south, passing Daxu country, Caoping country, Yangdi country, Xingpin town, to finally reach Yangshou County. 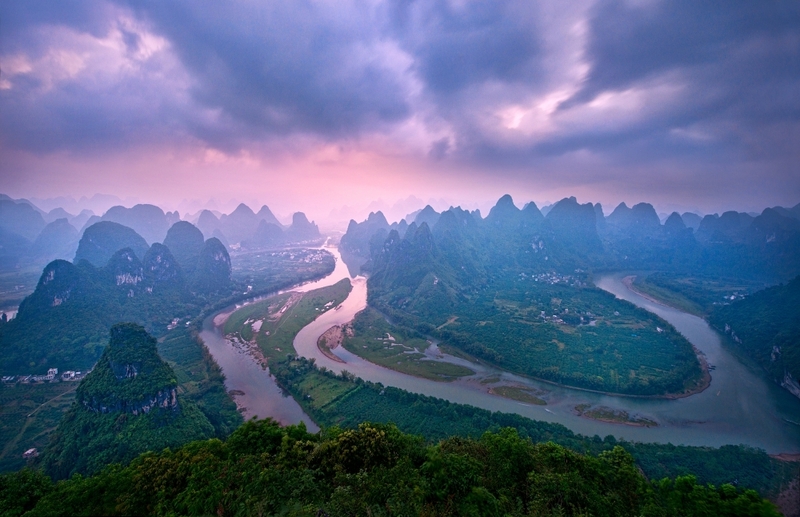 Along this route, the Li River offers its most beautiful landscape scenery. As we sail along, we see greenish-grey karst mountains loom high and mighty, while lonesome fishermen float past us on bamboo rafts. Li River has been a rich source of inspiration for Chinese artists since ancient times. Famous Chinese poets Han Yu and Zhou Hao in Tang (A.D. 618 – 907) and Song (A.D. 960 – 1279) Dynasties, wrote graceful poems about Li River, while many influential Chinese artists, such as Shi Tao (in 1600s), Qi Baishi(1864-1957) and Li Keran (1907 – 1989), created famous paintings to express their impressions of the unique landscapes and the lives of local people living around the Li River. After Mao’s Cultural Revolution (1980 – present), with China’s rapid economic development, the Li River has become a looked after tourist attraction – especially this river stretch from Guilin to Yangshou. The tourist business has gradually changed the local people’s lifestyle in certain ways. Today, by closely observing local people, we can see that most of them are doing different types of things for their living: traditional agricultural and fishery activities, but now more frequently also guided tours for tourists along the Li River. From a traveler’s perspective, there are so many places to visit along the Li River. Starting with Guilin – one of the two major cities in the Guangxi province, this city is the first destination for most people coming from either overseas or Mainland China. It has an international airport that connects Guilin to the rest of the world. But taking the train is also a good option to get there. Guilin is a modern and beautiful city, with a population of 4.7 million people. The city itself offers some interesting scenic locations, such as the famous Elephant-Trunk Hill and Reed Flute Cave, which tourists may like to visit first before they visit other places along Li River. "Reed Flute Cave" by James S.
For most tourists, a popular way to enjoy the magnificent scenery of Li River is to take a four-hour cruise from Guilin to Yangshuo County, where one can see the most stunning scenes along the two sides of the river. The cruise ends in Yangshuo, and people normally choose to stay several days there, so that they have an opportunity to experience some relaxing activities in the local environment, such as cycling, hiking, and bamboo rafting. West Street, also called Xi Jie in Chinese, is a main tourism street in Yangshuo. For me it is the best place to stay when visiting Yangshuo. In the last two decades, West Street itself has become a tourist attraction in the Li River region. Many people from all over China and a few from western countries have relocated to West Street to set up their businesses. Accommodations and foods here are quite cheap. For example, one can easily find decent accommodation for about 100 RMB/night (USD$17). West Street does not only have a good atmosphere for tourists during the daytime, but I should mention that West Street becomes truly vivid when darkness falls. The whole street is restless, crowded yet energetic. Whilst strolling through West Street at night, people can experience the strong mix of eastern and western cultures, as well as traditional and modern influences. "West Street" by James S.
Yangshou is not only an interesting place for tourism, but also provides some good opportunities for photography. 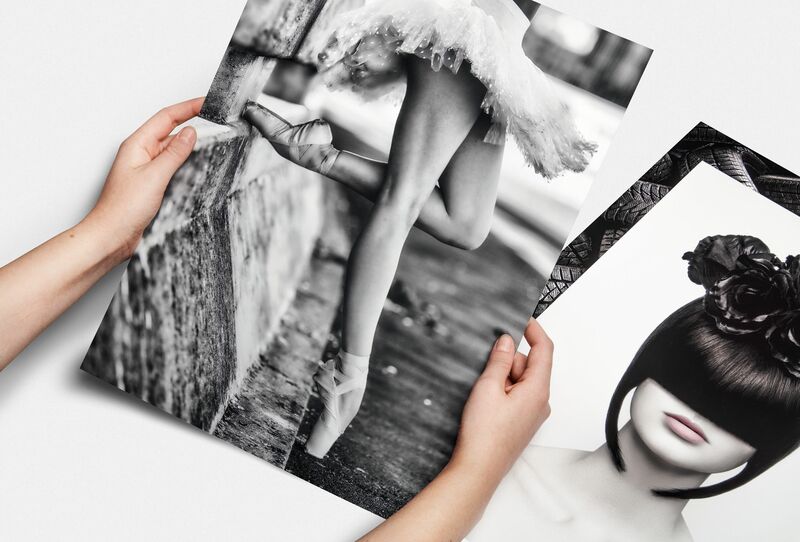 For example, the spot where photographer Jay Daley made the following image is not far from West Street. 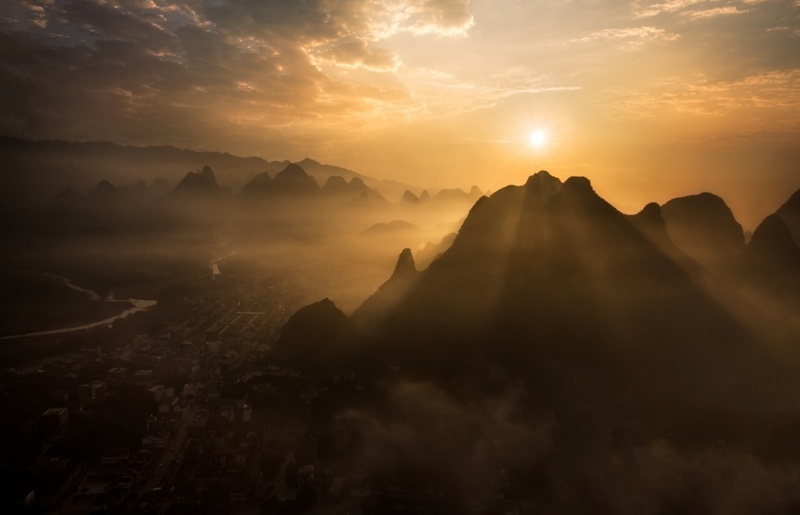 Nevertheless, at times it can be quite challenging to capture good landscape photography in Yangshuo due to its increasingly touristic and business environment. From my years of Li River explorations, I believe that the best place to take Li River photographs is actually a small town called Xingping, where a photographer’s journey really should start. Xingping is about 25 km away from Yangshuo towards Guilin. By river cruise, starting from Guilin, people will pass by Xingping before reaching Yangshuo. Traveling there over land can be done by bus or by taxi. If one goes to Xingping for photography purposes, I would not recommend taking the bus because it is usually crowded and takes a longer time. Moreover, one may have difficulties finding space for both luggage and camera gear on the bus. So I usually take a private taxi to go to Xingping. The cost for the ride is about 300 to 500 Chinese Yuan RMB (USD$50 – $90) depending on how good one is at bargaining with the taxi driver. Upon arriving at Xingping, one will be amazed by the feeling of being able to connect with the beauty of Li River. From Xingping one can easily gain access to many excellent locations for photography along Li River. Below, I list three well-known photography locations near Xingping. One must be aware that working out creative ideas is key to making unique images in these places (and of course, in all other situations), otherwise one may just end up producing typical pictures , not different from views seen many times over. One also should not restrict oneself to only the locations I list below, either. By exploring the Xingping area thoroughly, one will be able to discover many new photography opportunities along the river. Yuanbao Hill has some of the most classical Li River scenes, even having been printed on the 20 Yuan RMB Note of Chinese currency. A good place to take Yuanbai Hill photographs is easily accessed from Xinping Wharf. Usually, this spot is ideal for sunset shooting, but as long as one chooses to include some interesting elements into the frame, the scene can be just beautiful, like the following image made by photographer Jay Daley with Yuanbao Hill as background. Huangbu is another beautiful location on Li River. Traveltime to get there is about 40 – 50 minutes by boat from Xingping Wharf. Typically, it is a location for morning shooting, especially on a calm day, as the reflections of the nearby mountain peaks will be perfectly illuminated in the right morning light. However, exceptions always exist. I took the following Huangbu Reflection image on a rainy evening. Xialong is another excellent location along the Li River, and it takes only 60 minutes by boat to get there. Most people take sunrise photographs at this spot, but I have also found it to be an interesting place to take late afternoon or evening photographs. The following image was taken at this location (early morning). Photographers should remember that Li River is in general a busy river channel for local people, for both their tourism business and daily activities. The scenes only become attractive when the river is in a calm and peaceful mood. So for taking photos there, one should get to the location either pretty early in the morning, or in the late afternoon or evening. While taking pictures along Li River is quite convenient (and thus popular for most photographers), taking Li River images from the top of the surrounding mountains is much more challenging, but can be very rewarding. As far as I know, the majority of local photographers prefer to take Li River photos from the top of the mountains. That provides one with a wide angle and suited perspective overlooking the whole Li River as well as the surrounding scenery. There are three main mountains in the Xinping area: Laozhai Hill, Xianggong Hill and Goupo Hill. Laozhai Hill is located at the back of Xingping Wharf. Taking the well-developed trail, one can hike to the top of the hill within 45 minutes. 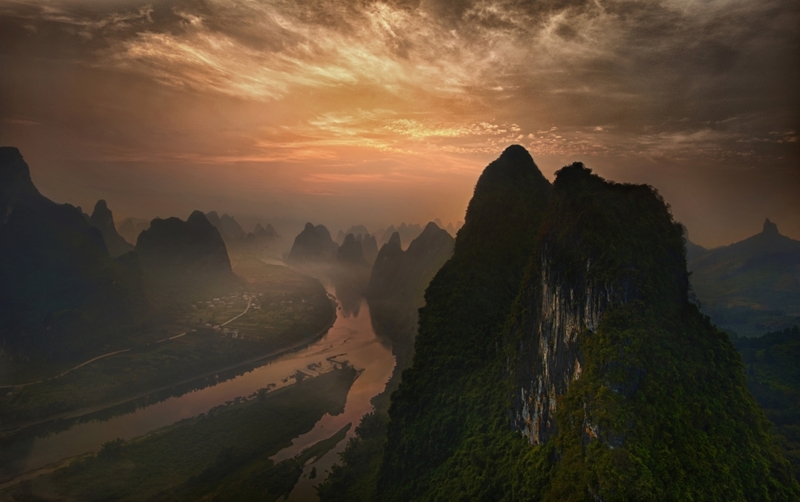 The hill top is an ideal location to take a panorama image of Li River at sunset, as shown in the following image taken by photographer Jay Daley. Another mountain is called Xianggong Hill, which probably is the easiest mountain to access because one does not need to hike to the summit, but can instead get thereby car or motorbike, and will be at a great location for a bird’s-eye-view picture of Li River and the surrounding mountains. "Xianggong Hill" by Hua Zhu. Taking pictures from Goupo is quite different. In fact, climbing Goupo Hill demands some physical fitness for photographers. Basically, there are two ways to access Goupo. For sunrise shooting, one has to get up quite early, take a 50-minute boat ride to get to the mountain base, and then spend another 40 – 50 minutes to climb the mountain still in darkness. About half-way to the top, there is a small open platform suitable for shooting sunrise images from a high viewpoint above the river. However, locals have told me that in order to get the best view of Li River, one should climb to the top of Goupo Hill, which is considered to be a challenging task, even for most local people. I did climb to the top of Goupo Hill three times in the past year. The entire ascent consists of two phases: the first part is relatively easy as there is a small trail to follow, though it is steep. The second phase is rough: no trail to follow, and one may need some rock climbing skills to ascend. Since this location is generally for sunrise shooting, one has to climb in the dark. When it is raining, which happens quite often, extra care must be taken. It usually takes 4 – 5 hours for a round-trip climb to the top of Goupo and back. Starting from the town of Xingping, one needs to take a short ferry ride across the river, then a 40 minutes motorbike ride to reach the mountain base, followed by the climb to the top. It took me about 60 – 70 minutes to get there. The following image was taken from the summit of Goupo Hill. 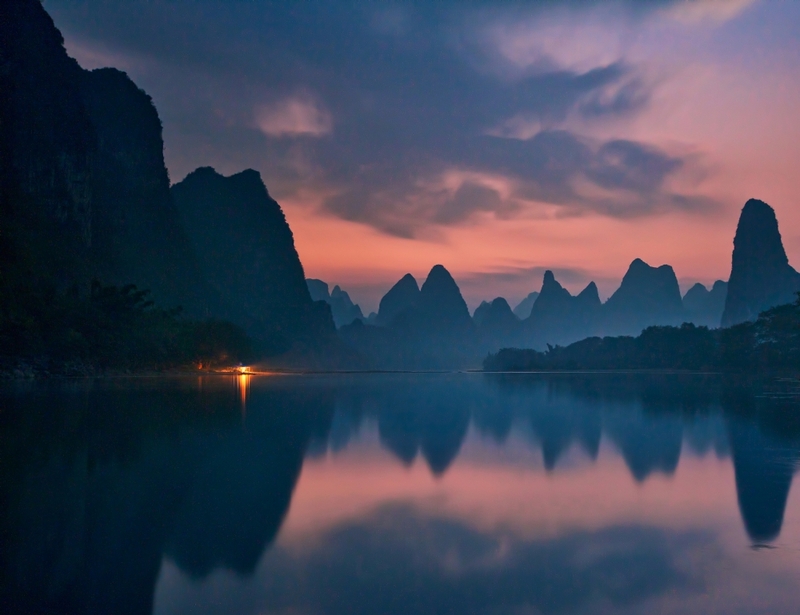 "Li River: A Mountain View" by YanZhang. For most photographers from outside the Li River region, having a local guide is important in order to access those photographic spots either along Li River or on the mountains. A good local guide will take you to the right spots at the right time. Based on my personal experience, I suggest not choosing local fishermen as guides. They can be excellent tour guides, but in my experience too often have little knowledge of photography. This may result in missing some important photography opportunities. There are good seasons and bad seasons for Li River photography. Local people have told me that in general, June and July are preferable, because during these months, the water level of Li River is relative high, and there is less foggy weather. From late July to August, there are usually heavy rainfalls and with it occasional flooding around the Li River area. Weather during September and October is usually quite nice from a photographer’s viewpoint, but the water level of the Li River during these months is often pretty low, which may result in less impressive photographic effects, if you take pictures from the mountains. Then from November to March, foggy weather around Li River can limit photographic opportunities. Nevertheless, I should indicate that all such weather and time information is not absolute. In fact, during my several years of Li River photography, I have never been able to travel to Li River in June and July, but I was still able to take some nice Li River images. One thing is critical: rainfall plays an essential role to generate dramatic weather conditions in the Li River region. Generally, if there is a change in weather, for example, having had 2 or 3 days of rain followed by sunny days, then a dramatic sunrise or sunset will likely occur on the third or fourth sunny day after the rain. This article just provides general information for people who are interested in traveling to, and taking photographs of Li River. There are a lot of official websites and documents available about Li River traveling. People should follow official recommendations to arrange their Li River travel. From a photographer’s perspective, on the other hand, exploring the region and creatively identifying new photographic locations should be the most important aspect of the whole process. After that, getting good light will be God’s gift. As a passionate landscape photographer, Li River has inspired me to pursue my goal of exploring the natural beauty of this world. 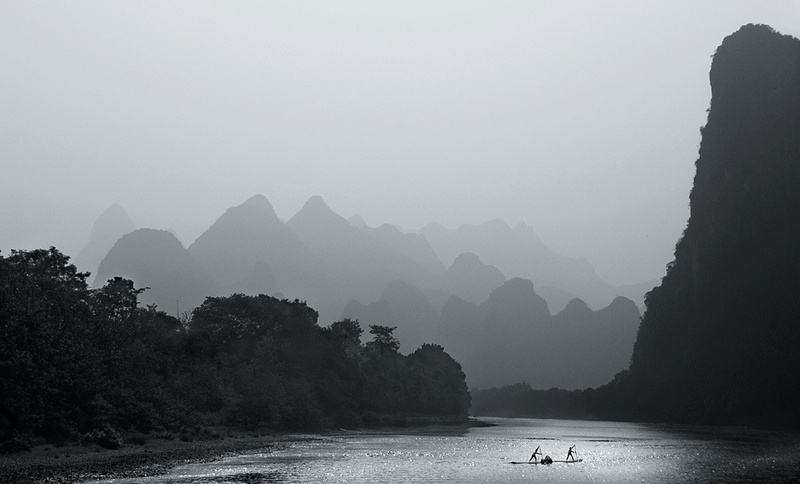 As a passionate landscape photographer, my journey to Li River will continue.